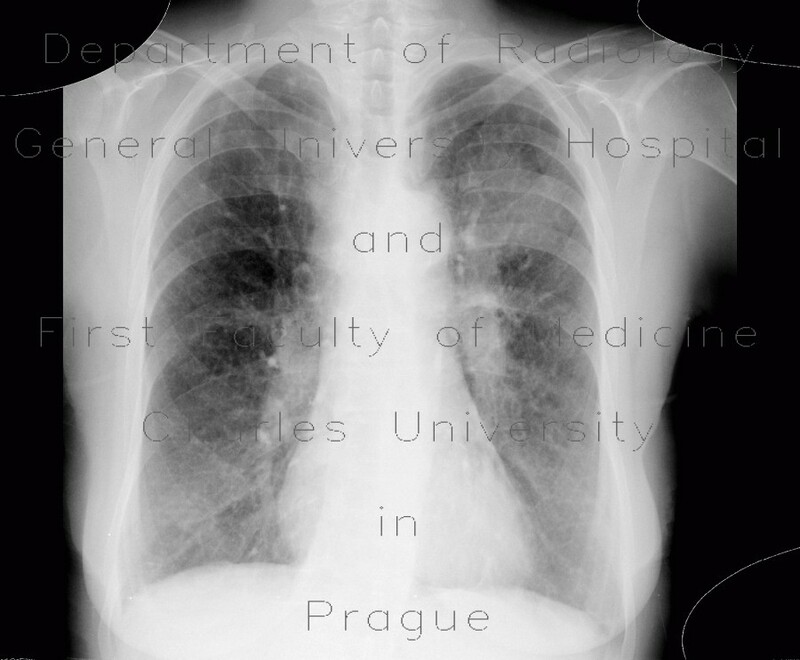 Patient with lung carcinoma in the left upper lung lobe, mediastinal and hilar lymphadenopathy, right-sided pleural effusion. The two radiographs were acquired 10 days apart. The second radiograph shows extensive reticulations, thickened peribronchovascular interstitium due to carcinomatous lymphangiopathy.